#WishingWeWereFishing Photo Contest & more! 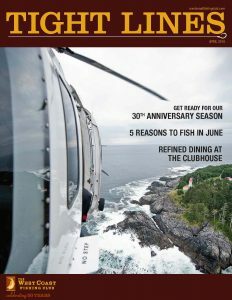 Click here or follow the link below to access the digital copy of our Tight Lines publication. Don’t forget! We’ve switched our Tight Lines publication to online format where it’s easy for you to share articles on social media, watch video and easily click on links within the article. There’s also an option to read our pdf version that can be easily printed out as well. We hope you enjoy! Click here to access the all-digital Tight Lines publication. P.S. We’re less than 30 days from the start of the season. If you haven’t confirmed your trip for 2018, call us today at 1-888-432-6666 or click here to fill out an inquiry online.